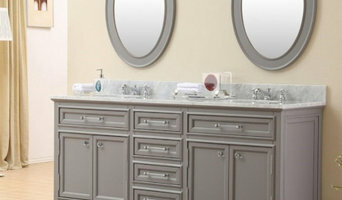 The bath fixture experts at GSI Bath Showplace will make your renovation project painless, personal and fun! We have an amazing selection of quality products to suit any taste. With our unrivaled product knowledge, we make sure everything comes together as intended. We will work with your plumber or contractor and take the stress out of your bath projects both large and small. Our hope is to create not only your dream bath and kitchen, but to elevate the buying experience to a whole different level. For three generations, BLANCO has elevated the standards for luxury sinks, faucets and decorative accessories. Proud of its European heritage and award-winning German engineering, BLANCO is committed to their tradition of high quality, innovative design and unsurpassed service since 1925. 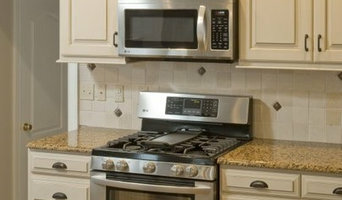 Kitchens and bathrooms are the most renovated rooms in any Doylestown home. Storage is a top concern in these rooms, so hiring Doylestown, PA professionals to create and install custom cabinets in your home can be key to expanding your spaces and controlling clutter. Use the Houzz Professionals listings to find Doylestown, PA kitchen and bath accessory vendors. Don’t rule out asking a kitchen manufacturer’s design team for help, too. Skills often can be overlapped to save you time and money! Here are some related professionals and vendors to complement the work of kitchen & bath fixtures: Kitchen & Bath Designers, Kitchen & Bath Remodelers, Interior Designers & Decorators, Cabinets & Cabinetry. Find kitchen and bath fixtures and accessories, plus installation experts, on Houzz. Check out Pennsylvania kitchen products and installers, and bath plumbing products and installers, on Houzz. You can also look through project photos provided by Doylestown, PA renovators, retailers and designers.